When trying to download Modano X, the system gave me the attached error message "prior version detected". 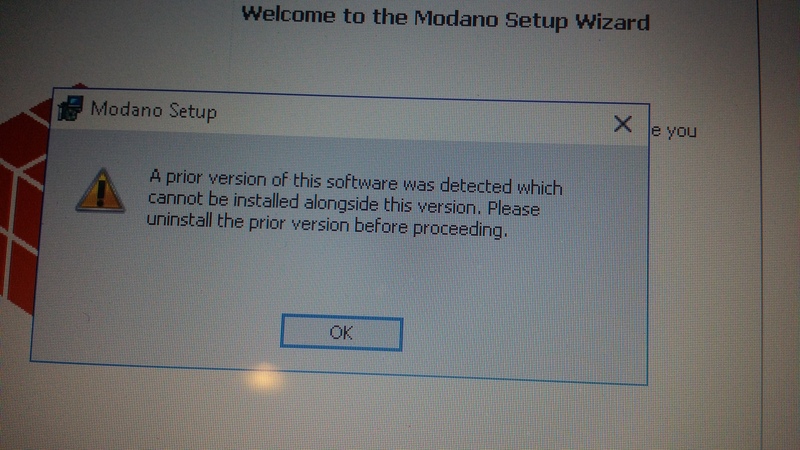 This is unusual as the installer should automatically upgrade any prior installed versions of Modano. Then try installing the latest version of Modano after doing this, as per www.modano.com/installation.